Noodles aims to answer the question, "What's that noodle?" 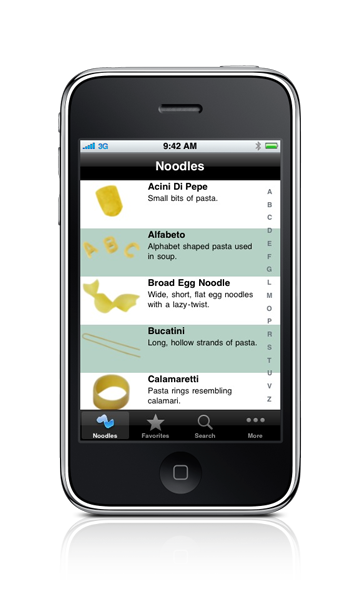 A simple to use noodle reference featuring an alphabetized index with name, photo, style, average size, origin, cooking times and common usage. A pasta-pedia if you will!